Power or Paddle | KUMSHEEN | Raft. Relax. Recharge. 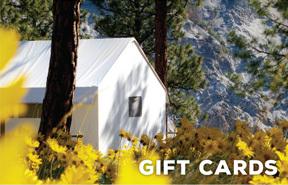 View our most popular videos. The Thompson and Fraser are exceptionally large, deep rivers. The Thompson is a tributary of the Fraser and carries about one-third the flow of the Fraser. They meet at Lytton. The Interior Salish Peoples referred to the spectacle of these two massive rivers converging as the Great Forks or Kumsheen. Hence our name. An average peak spring runoff is 115,000 cfs (cubic feet per second) for the Thompson and 350,000 cfs for the Fraser. Most rivers in North America flow between 1200 and 5000 cfs so it’s obvious that our rivers are gigantic by rafting standards. Because of the rivers’ big volumes, we are able to offer you two raft styles – paddle and power (motorized) rafts – an option very few rivers can present. We pioneered both raft styles on the Thompson and Fraser and are experts in both. 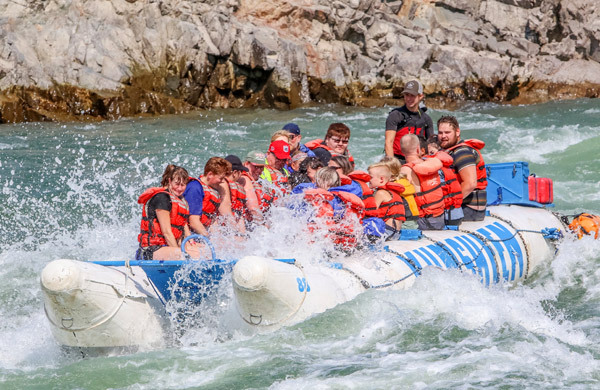 As a general rule, we recommend power rafts for most first-time river runners on the Thompson. 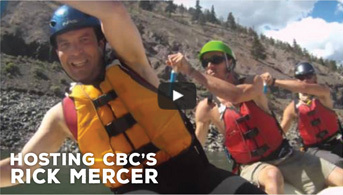 They are our only option for the Fraser and for high water on the Thompson because they provide us with greater stability, buoyancy, and maneuverability than the paddle rafts. These are pontoon rafts not unlike some used on the Colorado River in the Grand Canyon. They consist of two large inflatable tubes joined together by a metal frame and a flexible wooden floor. They are powered by an outboard motor. For power rafting no experience is necessary and you need not be a swimmer. 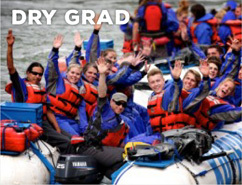 Your role isn’t strenuous but you are required to hang on to a hand line as the raft bucks wildly in the big rapids. 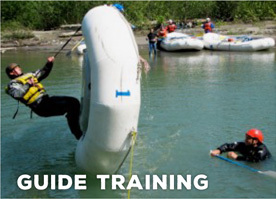 A guide controls the raft with an outboard motor (you drift quietly in the calms.) 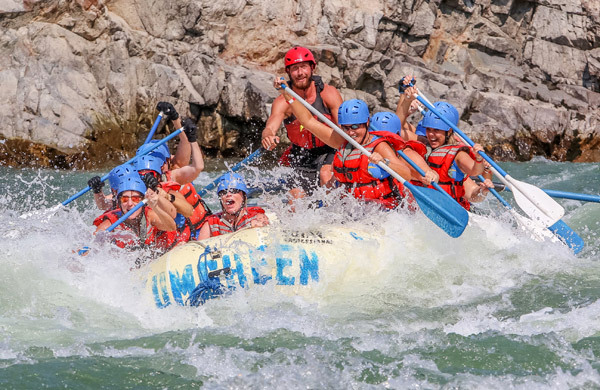 Power rafting is wetter than paddle, and a few rapids can be run more than once. 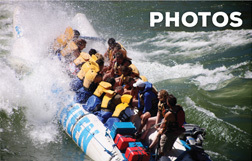 Raft size – capacity: 22′ – 16 guests; 28′ – 21 guests. 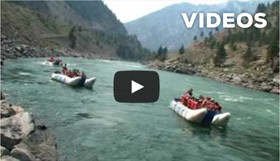 Paddle rafts are smaller than power rafts and you are required to work as a team in order to negotiate the rapids. Your guide calls paddle instructions and you assist the team by paddling together. 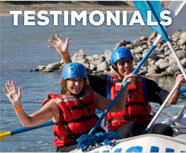 The ride is “smoother” compared to power rafting but generally results in a stronger sense of accomplishment. 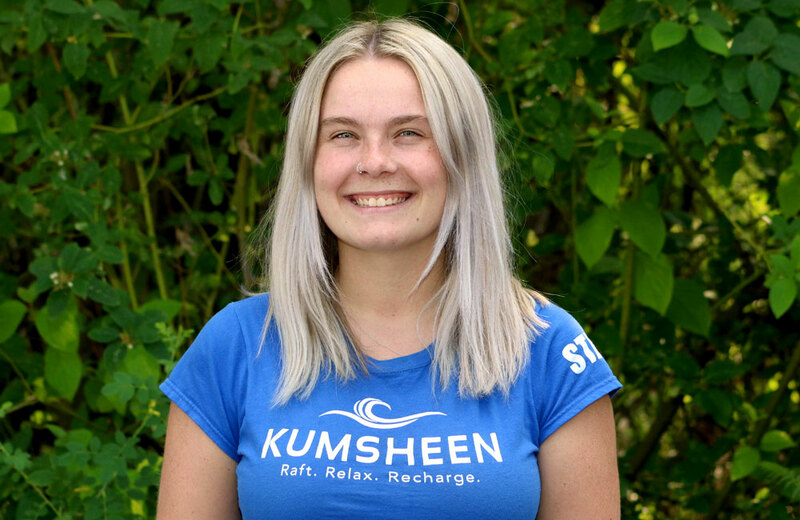 Note: We reserve the right to transfer your booking from paddle to power rafting if required because of water conditions.